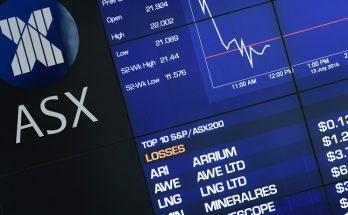 The 2019 AGM update has indicated trading is in line with expectations. Occupancy has continued to build and management is confident in achieving the upper end of its target range. Deutsche Bank believes the business may be underperforming peers. The company’s competitive position is a bigger driver of profitability than the macro environment. 2018 results were in line with guidance. Morgans observes occupancy in the year to date is up around 2% but excess supply continues to make for a challenging market. Steven Everett of Belvedere Share Managers shares his perceptions of the changes being made by new management at G8 Education. The listed childcare sector has been popular with investors, but emerging oversupply and affordability issues mean that all is not well in the sandpit. The operators are banking on the government’s revised subsidy scheme to revive their fortunes. While supply remains a concern, UBS suggests the overall availability has not deteriorated further. The broker expects the demand/supply balance to return over time and the changes in government funding should be a major positive over the next few years. G8 Education ((GEM)) is withstanding headwinds in its business, amid increased supply of childcare places. The company has renewed its management, board and operating perspective and, having raised new equity, is now focused on growing occupancy. Morgan Stanley has reduced occupancy forecasts for 2018 to 77.7% from 78.8% and for 2019 to 79.0% from 80.5%. This results in a -4-5% reduction to revenue forecasts. Brokers find the current valuation of child care provider G8 Education ((GEM)) undemanding, although uncertainty surrounding occupancy keeps several from being more positive. The company is intent on transforming its operations and increasing occupancy levels while government rebate changes, due in July, are expected to improve the industry’s dynamics. Shares in G8 Education slid 23.1% to $3.40 after the childcare provider cut its projected earnings guidance for the year to December 31. G8 Education’s trading update revealed the surprise stock placement announced in February did not go as smoothly as hoped, requiring a restructure to ultimately a lower net price. The broker is not unhappy, given much needed balance sheet support. Child care operator G8 Education ((GEM)) has teamed up with a Chinese investor, which has provided the capital to enable the company to restore its balance sheet and pursue acquisitions. Has GEM Learnt Lessons From ABC? Childcare operator, G8 Education (ASX: GEM), recently reported its first half 2016 results, and they were not inspiring. EBIT margins are deteriorating under the weight of rising wages and corporate overheads. We don’t yet see it as a repeat of the ABC Learning disaster, but we are keeping our eyes peeled. Is A Supply Issue Emerging In Child Care? Is there a supply issue emerging in child care places? In the June quarter 54 new child care centres were opened compared with 70 in the March quarter. The number opened in the first half of 2016 rises to 124, versus the 111 that were opened in the prior comparable half. Having reviewed growth assumptions Deutsche bank trims near-term forecasts by 5-6%. Key drivers of the downgrades are slightly lower organic growth expectations in WA and the ACT and a more conservative capital structure limiting acquisition growth. The company’s scrip-based hostile bid for Affinity Education ((AFJ)) represents a divergence from the self-funded growth strategy but Deutsche Bank considers it has merit in order to take out the other listed player. G8 has announced the acquisition of 8 new child care centres, funded by cash, on implicit 4x earnings multiples. This is in line with management’s previously stated multiple target, the broker notes. Given the government’s proposed boost to childcare subsidies and winding back of cap rate restrictions will have to get through the Senate, the broker is not making any forecast changes just yet. But the new subsidy schedule should boost child care occupancy levels, and thus provide a boost for G8 earnings, the broker notes. Of the 25 child care centre acquisitions announced by G8 in August, 8 had not settled by the expected January date. G8 cites red tape issues beyond its control. With settlement not expected until November, the broker has adjusted forecasts to reflect expected earnings now lost in the interim. And contrasting with Vocation’s self-inflicted woes, was the much awaited trading update from childcare operator (the other end of the education chain from Vocation, if you think about it) G8 Education (GEM) which told the ASX yesterday it will increase the quarterly dividend to be paid in January of next year and has told investors audited earnings for the financial year to 31 December are expected to exceed the average broker forecasts. G8 Education (ASX: GEM) have just announced a multicurrency debt issuance programme to issue $500m of notes, denominated in any currency agreed between G8 and any dealer. Is G8 Education Worth More Than $5 Per Share? In September last year, when G8 Education shares were trading for three dollars, we asked: “Is $4.00 unreasonable for G8?”. Seven months later, and with a share price circa 45 per cent higher, we again ask a similar question but this time – is G8 worth more than five dollars? The company may be acquisitive but the impressive organic growth should not be overlooked, in CIMB’s view, as it demonstrates the ability to acquire, integrate and lift performance. 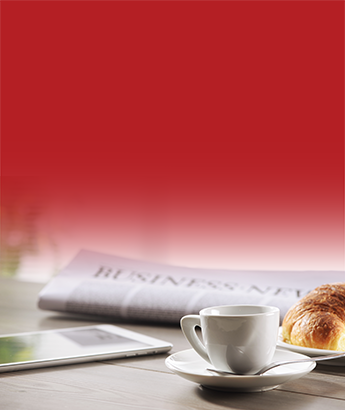 CIMB has upgraded earnings forecasts for FY14-15 by 7-17%. Is $4.00 Unreasonable For G8? A few months ago, with their shares trading for $3.80, we asked the question: “Is $5 unreasonable for Ainsworth?” After the subsequent, high quality profit announcement for 2013, and very bright prospects indicated by management for 2014, we believe $5.00 in the next 12-24 months, might not be unreasonable at all. G8 effectively issued a profit upgrade and Citi analysts have increased their estimates, not only for this year but also for years to come. They observe the share price has performed strongly over the past three months, but continue to see further upside. Target $1.12 (was $1.02). Management has lowered full year earnings guidance to reflect a dragging out of a Singapore acquisition and the broker has adjusted estimates accordingly. G8 Education operates child care centres in Australia and Singapore but it is no ABC Learning, the broker notes. It has exhibited acquisition discipline, has limited gearing and no greenfield developments.